So here it is… The much anticipated #NonDairyCarrie Project Post #1! Our first post comes to us from Krista, as she puts it she’s “a runner, writer and former journalist who’s called Wisconsin home her whole life. She’s lived in Madison for three years. She loves milk. She’s never milked a cow.” I have never met Krista in real life. I don’t run. 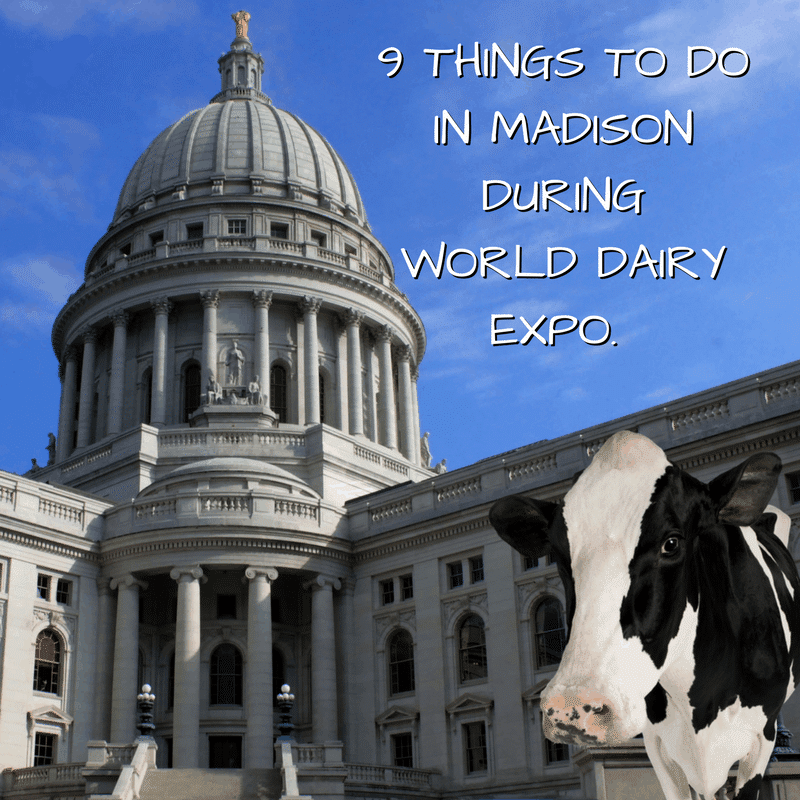 I haven’t lived in Madison for 10 years, I have milked many cows. As different as our lives are we still have quite a bit in common, staring down 30, milk loving and a sense of humor. It’s good to be reminded that we all have something in common. Read, enjoy and I will catch up with you at the end. When Carrie asked me to write a guest post for her blog I immediately thought, “Yes! Of course! Hooray, fellow bloggers! I’ll scratch your back, you scratch mine! Kumbaya!” And then I realized I can count on one hand the amount of times I’ve been on a farm. In my mind, farmers are my grandpa. They wear dirt-stained ball caps, overalls and spend the morning milking cows while chewing on a piece of straw. (Full disclosure: I don’t know if my grandpa did any of that, but doesn’t it sound quaint?) I don’t know farming. Not in today’s day and age. I grew up in Beloit, Wis. The closest I came to a farm was the time my parents let two dogs in the house at once. So I racked my brain for a tale to tell. To be fair, Carrie did say I could write about anything with one stipulation – if not about farming, it had to be about food. But I only felt right if I had a farm story to tell. There was the time I was chased by sheep on my grandparents’ pastureland, but nothing came of that except an irrational fear of sheep. I’ve never milked a cow. I rode a horse once, but fell off. And I know nothing about crops except perhaps children live in the corn and they’re terrifying. But then I remembered the time in elementary school when I stuck my hand inside a cow’s stomach and was never the same. I remember very little about how it happened, or why the University of Wisconsin was letting a group of 11-year-olds stick their gloves hands inside a grazing cow’s stomach, but alas, it happened. I was in sixth grade, maybe fifth. Our class had taken a field trip to the University of Wisconsin to apparently stick our hands inside cows. I believe we also ate Babcock ice cream, but that’s easy to forget when the image of steaming cud is burned in your mind. There stood a cow with a plug in its side. A large, rubber plug. At one point whoever was explaining the purpose of a cow’s several stomachs removed the plug. Again, I don’t remember why cows have more than one stomach because of the steaming cud I would later squeeze in my hand. But I remember thinking, “OH MY GOD PLUG IT BACK IN.” The poor cow stood there, completely un-phased, while a group of obnoxious 11-year-olds gawked inside its (one of several) stomach(s). My mind was blown. The cow! Its stomach! I could see inside of it! IS THIS REAL LIFE? Before I got the chance to reconsider the meaning of life and wrap my mind around the concept of several stomachs, the cow handler asked for volunteers to reach inside of the cow. By the time I removed my jaw from the floor my hand shot skyward. OF COURSE I WANT TO REACH INSIDE OF THE COW, thought young Krista. Because really, when would I ever get the chance again? (Never, it turns out). (How odd). I put on large rubber gloves and peered inside the hole in the side of the cow. The cow stood, just chilling, chomping on some hay, as I was about to reach inside its cavernous stomach into the unknown. I remember reaching in and forming a fist around a handful of warm, damp, undigested stomach contents. I squeezed what looked like wet grass and felt the juices run through my gloved fingers. And that was it. 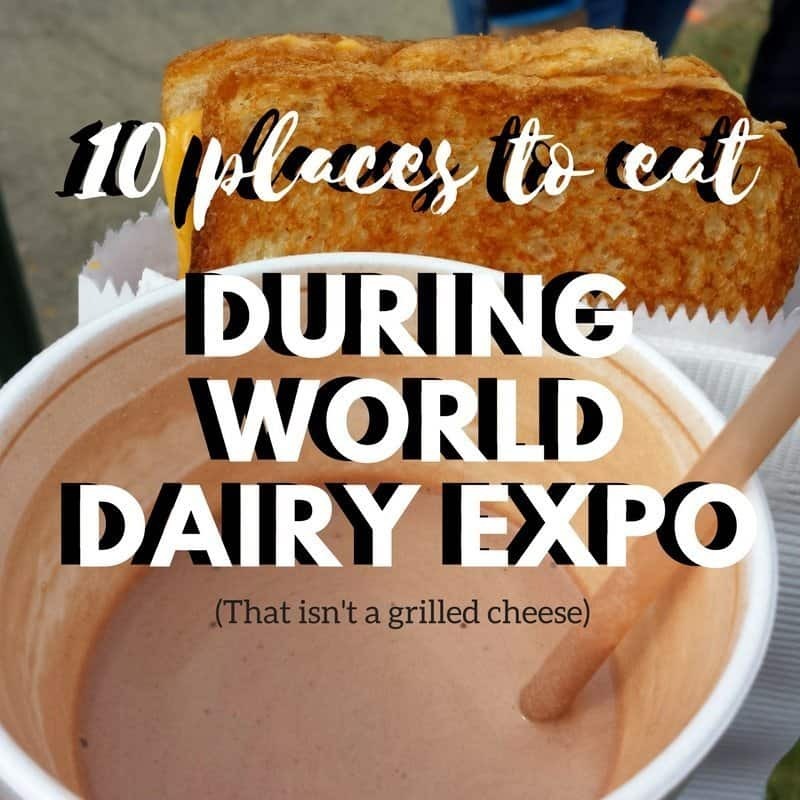 And to this day, at nearly 30 years old, I still don’t know why I reached inside the stomach of a cow, or if the UW is still letting sixth graders do such a thing. Did I dream it? Was it real life? Do cows have more than one stomach? Why? How? Where do babies come from? ALL THINGS I DO NOT UNDERSTAND. I am living proof of what happens to a child who grows up in the 80s on Super Mario Bros, Hamburger Helper, canned vegetables, and a belief that milk came directly from the cooler at Woodman’s. At least kids today have Farmville to learn from, which suddenly makes me realize I have a lot to learn. I’m looking at you, Carrie. Teach me. So do me a favor, friends, and go hug a farmer. Then maybe ask real nicely if you can stick your hand inside their cow. First off I would like to extend an invitation to you Krista to come and visit our farm. I would love, really love to show you around and let you learn more about farming. I will let you put your arm in a cow again. However I should note that the access point we use on the farm does not come with a removable plug. One thing I would like to point out, you may not remember why you were doing what you were doing but you do remember that a cow has more than one stomach, 4 in fact. That bit of knowledge has stuck with you this far, I would call that a win for a 6th grade field trip. As far as the where babies come from you might want to have a chat with your Mom, unless you mean calves. I can totally show you how to make a calf! Second, thank you. Thank you for writing this post, for reminding me that what I do each day isn’t the normal way of life for most people anymore and for making me laugh. You have an amazing talent with your writing! 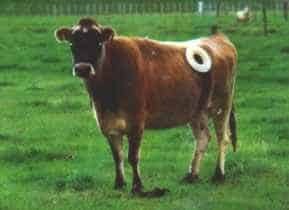 As far as those cows with holes in their side, they are called a Rumen Fistula, Rumen Cannula or just a Canulated Cow (Per Dr. Becky, my favorite vet to text random questions to). Yes the UW and several other colleges have them. Why they have holes in them so that researchers can access the contents of the stomach for whatever project they are working on that requires intimate knowledge of partially digested cow food. Check out this blog, it does a great job explaining it and the comments are pretty funny too. Thank you so much for the good laugh this morning! What a great story! Carrie. YOU GOT IT. 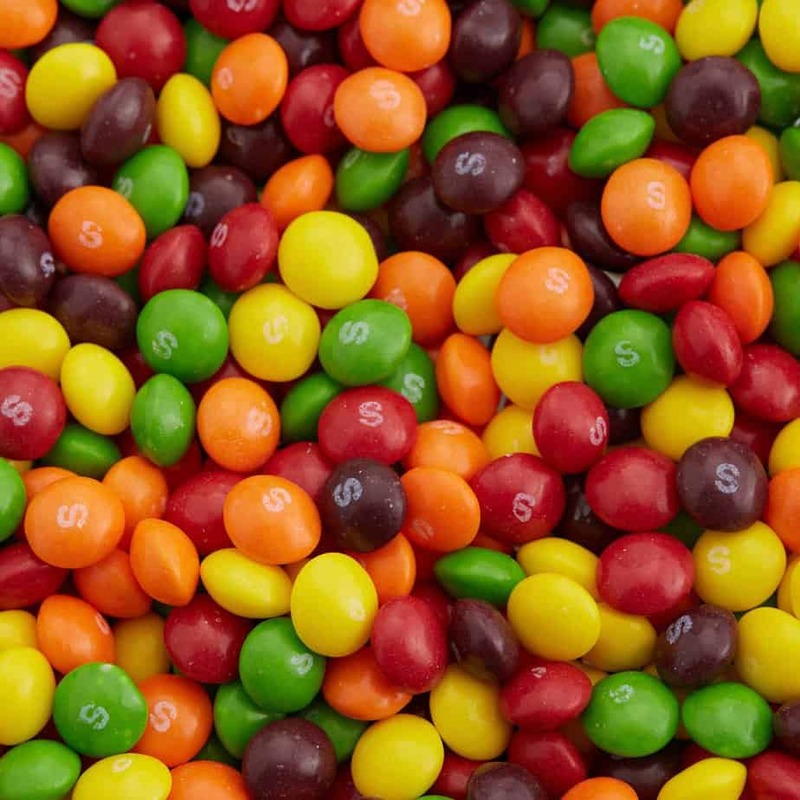 I am taking you up on your offer. And as a currently unemployed person, I have all the time in the world. 🙂 Thanks for the fun opportunity today. It’s a deal. I will message you and we can set up a field trip. So glad you said yes! But that’s where the babies come from! Haha, I needed that this afternoon. And I was laughing, not only with you, but because I had a close reaction the first time I reached into a canulated cow. It was SO cool. After learning about all of the stuff I had, and then actually feeling and seeing it in person, it was awesome. And yes, like Carrie I often have my arm up the business end of a cow. Reproduction is a fun line of work. Most of my life it has been spent bringing calves into this world on cold, windy nights, but now I get to go to school and learn more in depth about that whole process before calving. Here’s to sticking our arms in cows, and thank you for showing enthusiasm about wanting to learn more Krista. Cheers! Wait, I don’t think that’s what we are supposed to say when we “glove up” …. Yeah… Yikes. that might be messy. 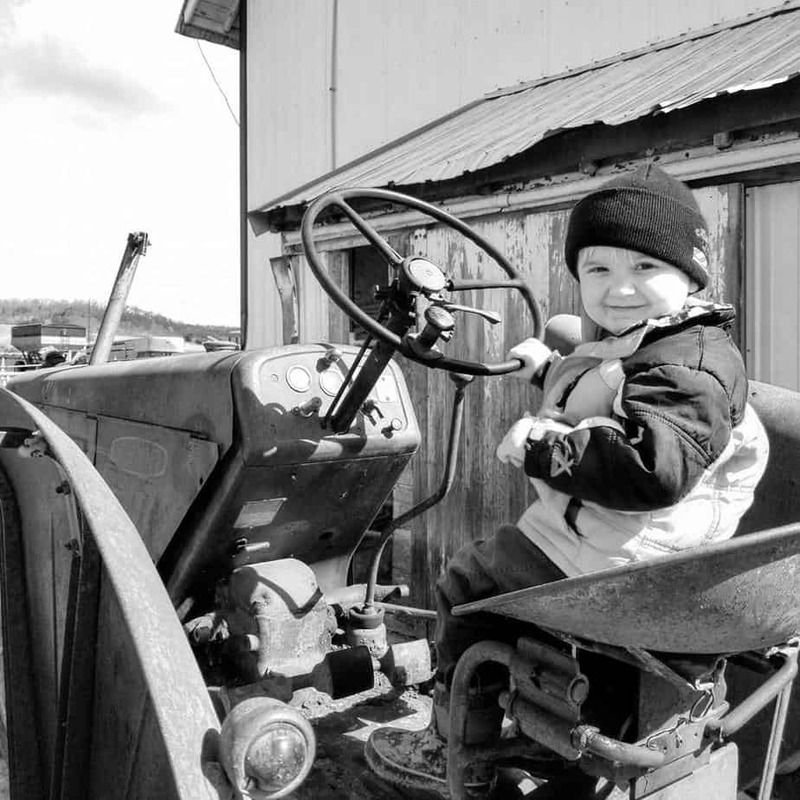 It’s great to see someone outside of the ag industry sharing their agricultural stories. It shows that there are ways to make an impact on the public. Even if we think we can’t leave a lasting impression, obviously as a 6th-grader you held onto that random tidbit of ag info (4 stomachs) and a great deal of emotional trauma. Now, let’s take what we’ve learned here today, and use it to teach more folks about ag…traumatic experiences optional. Best of luck to both Krista and Carrie! You guys rock! Hahahaha, I’m not a farmer. Just a farmer’s daughter removed from the farm and trying to keep in touch with ag. My life has been a series of awkward, odd events, so I can completely identify with the fact that something like this would leave a lasting impression. And as for the response, ag is a very warm, close-knit community, and we love opportunities to reach a new audience, test boundaries, and make new friends. So, thank you for taking time to contribute to Carrie’s blog. It’s enlightening for us agnerds, as well! Carrie, What a great vision you had for this project! I read this before I went to sleep this morning. I smiled and chuckled and drooled milk down my chin from my cereal as I read it. I even had a dream about my own similar experience in High School! Krista what a great piece! Thank you for sharing your sense of humor in an obviously unknown and perhaps frightening experience. I will definately be logging on the rest of the week knowing I won’t be disappointed. Hi Eddie, thank you! What a fun day it’s been. And such a warm response from all of you. Never expected that, or to learn so many things.